Don't miss this year's Soteu debate! The State of the European Union debate takes place on Wednesday 12 September at 9.00 CET, looking back at what has been achieved and what still needs to be done. Find out how to follow the debate online and join the discussion on social media. The annual State of the Union debate is a chance for MEPs to scrutinise the work and the plans of the European Commission and help set the future direction for the EU. This year’s debate is especially important because it will be the last before the European election in May 2019 and a new Commission takes over. This debate will not only review what has been delivered in the past years to EU citizens, but could also set the tone for the next five years by discussing future challenges and how to tackle them. The event starts with a speech by Commission President Jean-Claude Juncker, evaluating the past year and outlining plans for the coming year. This is followed by a debate with MEPs, who will set out what they believe should be the EU’s priorities. Among the issues discussed in last year’s debate were plans on defence, security, legal migration, international trade, social equality and how to strengthen the EU’s budgetary capacity and democratic decision-making process. Read more about in the press release. Watch the debate live online here or here in any of the EU’s official 24 languages. The State of the EU debate will be streamed live on Facebook on 12 September. Find out what MEPs have to say about the State of the EU on social media on the EP Newshub. In addition you can get live updates in your own language thanks to our Twitter accounts. Join the online discussion using the hashtag #SOTEU. Extensive coverage by Parliament's audiovisual services will be available here. The State of the Union is about ensuring transparency as well as accountability. The debate takes place every year during the first plenary session of September. As the EU’s only directly-elected body, the European Parliament acts as the people’s voice at the European level. During the 2014 European elections voters enjoyed for the first time the opportunity to influence who would become the new president of the European Commission. This change resulted in a greater role for the Parliament in setting the EU’s political agenda. 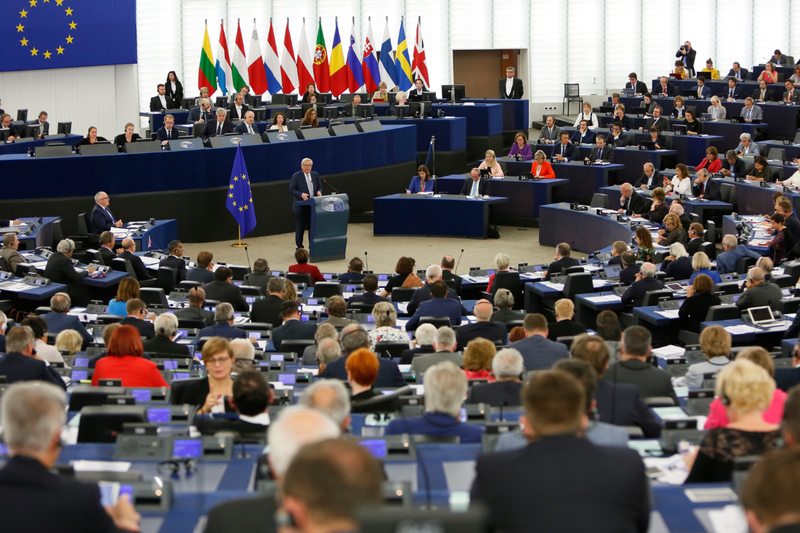 In less than a year, hundreds of millions of Europeans will elect a new European Parliament and decide who will lead the next European Commission. The future of Europe is in their hands. Read more about the coming European elections in the press kit. If you want to help raise awareness of the European elections next year, visit https://www.thistimeimvoting.eu/.